"Even When It's Drab You Can Stay Fab"
We want to sell our product across the country then we want to take it worldwide. We want to sell “The Rainless” umbrella at retail stores like Target, Walmart ,Academy. We want our product to be easy to access and buy. 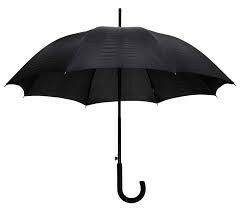 By selling “The Rainless” Umbrella, we are hoping to help others stay warm and dry on rainy days. Our purpose is to provide items that will allow people to stay dry and warm during the rainy days and months. It also allows you to stay stylish in an easy and carefree manner. The Umbrella itself is $2.85. Fabric is $1.95 per yard. How much would we sell "The Rainless" for? We are going to start selling "The Rainless" at $35. Buyers would pay for this because they pay a lot for their clothes who want to protect them. We expect 1 million buyers in a time frame of one year. Our Expected Income for one year is $25,310,000. Our targeted consumers are women in non-third world countries. Weather Company is our competition because they offer all rain wear. However, their rain wear is not full body. The sell rain jackets for $55 and umbrellas for $40 more than 1 of our "Rainless" umbrellas. We are asking for 1.8 million dollars. We are offering 20% of our product to the investors. We see our company as a world wide company making other rain proof products. Our 10 year sales would be $350,000,000 with a profit of $253,100,000. Our 20 year income would be $700,000,000 with a profit of $506,200,000. Why you should invest in "The Rainless"
You should invest in our product because we believe with your help, we will be very successful. With a 20% investment, you will be bringing in a lot of money. The first year you are expected to get back $5,062, 000. That is almost triple the amount we are asking you to invest. By the end of year 10, you are expected to get back 28 times your investment at $50,620,000. By the end of year 20, you are expected to get back 56 times your investment at $101,240,000.